As part of my drive to finish up older projects this year I am also trying to finish writing some of the patterns that have been languishing on my computer for far too long. 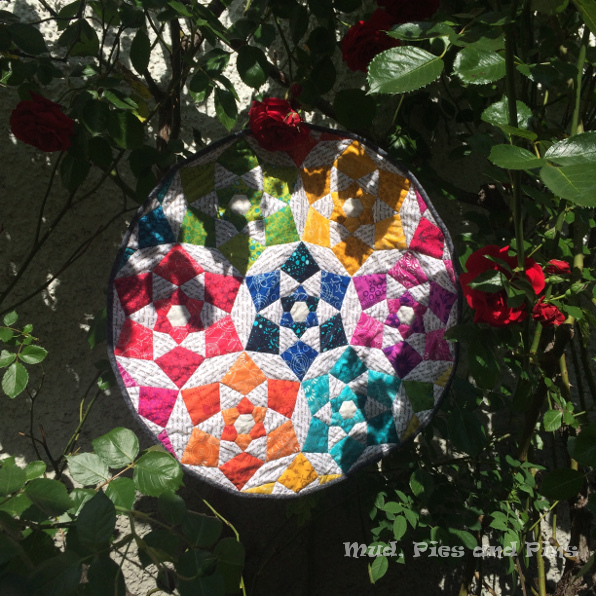 Today I’m happy to be able to share the first of them: the Starflower Pattern. 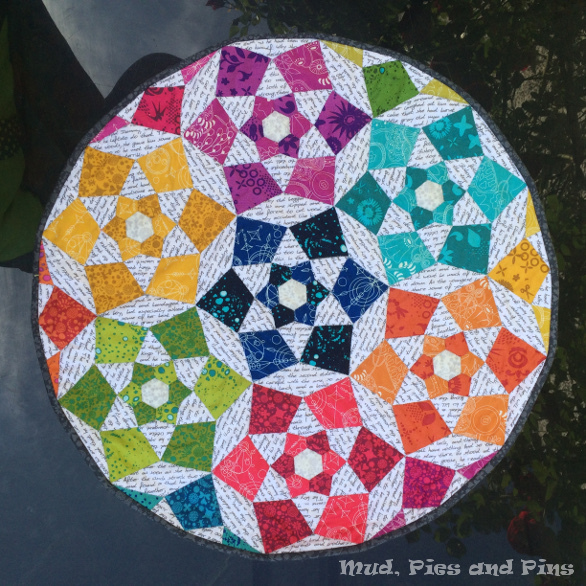 Starflower is an English Paper Pieced mini quilt that finished up at approximately 24″ in diameter. It was originally designed for the Hand Pieced Mini Swap back in 2016. My original design was for a hexagonal shaped mini quilt, but I indulged my love of circles when I made it for the swap and ended up rounding off the corners. I have included instructions for both variations in the pattern. I have also included instructions on how to square off the quilt if you wished to make a larger version. The Starflower pattern is now available in my payhip store. It contains all of the instructions that you need to make this mini quilt, a colouring sheet to let you audition your own design ideas before you commit to sewing them, and a full set of paper pieces ready to be printed and cut out. I hope that you will enjoy this design. To celebrate it’s release Starflower, and all of my patterns will be available with 20% till the end of the week. just use the code NEWRELEASE17 when you checkout to get your discout.